Anesthesia means "numbness, insensitivity". Surgeries under anesthesia are painless and unremembered procedures for the patient. However, the elimination of the senses is not enough to sustain the operation with confidence. During surgery, the body must also be kept under control for functions such as respiratory and circulatory, which are vital indicators. Anesthesia Laboratory Technicians; are healthcare professionals who carry out medical procedures related to the patient's sleep in all kinds of surgery according to the instructions of the physician and helps the medicine in anesthesia. Anesthesia technicians assist anesthesiologists in anesthesia applications. The Anesthesia department students learn about the patient, the illness, the medications to be used, and the conditions they are in. Prepares the patient before surgery, supports the anesthesiologist during the operation, performs the patient follow-up during the operation, and performs the patient check after the operation. They must be friendly with a smily face and very patient. Anesthesia technicians work in the operating rooms in hospitals. The working environment is cold and clean. There may be weekend and night shifts. They are in contact with doctors, nurses and machines during their duties due to their usage of devices. 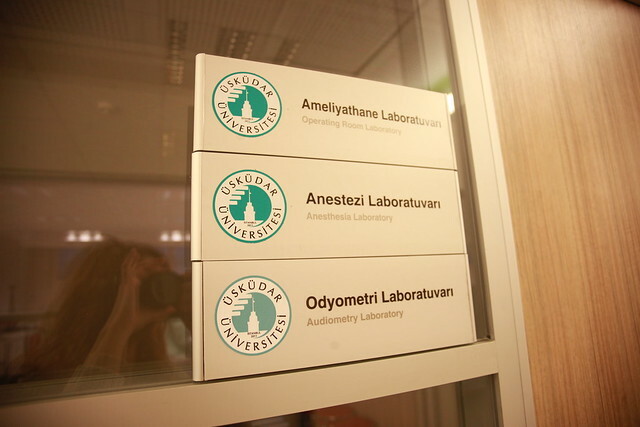 Üsküdar University Anesthesia Laboratory aims to give the basic anesthesiology knowledge and skills to our technicians who will grow in this area. 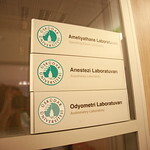 Our students also develop their medical skills by implementing them on an individual model in laboratories. 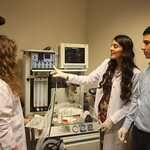 In our laboratories, students are taught cardiopulmonary resuscitation, intubation, epidural anesthesia, general anesthesia, combined anesthesia, parenteral intervention, use of anesthesia device, medication, introduction and preparation of patients, patient transportation and post-operative care applications.